1. Wash, dry and iron your flannel. Lay flat then cut a square 30" x 30". 2. Fold in half twice so that all four corners are stacked. 3. Place your bowl about two inches from the corners. 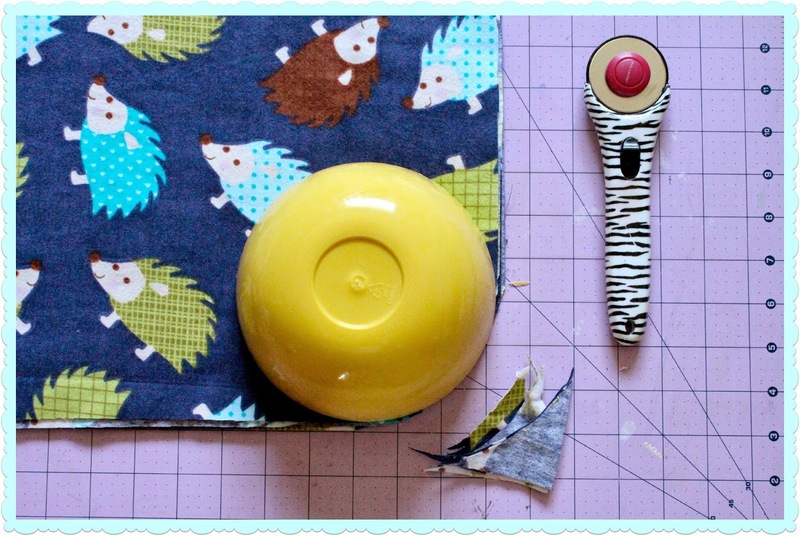 Cut around the edge of the bowl using your rotary blade or scissors. 4. Serge around the entire blanket edge, and you're done! 1. Wash, dry and iron your flannel. Lay flat then cut a square 31" x 31". 2. 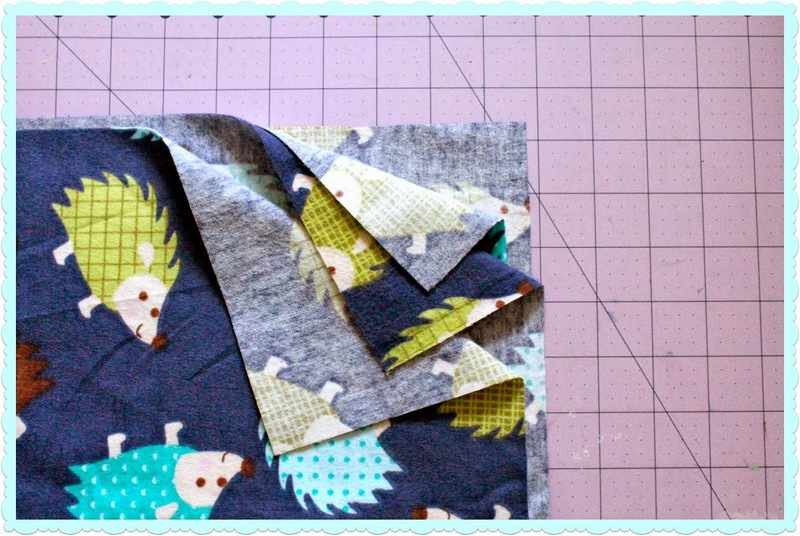 Fold over each side 1/2", then 1/2" again for a finished edge. 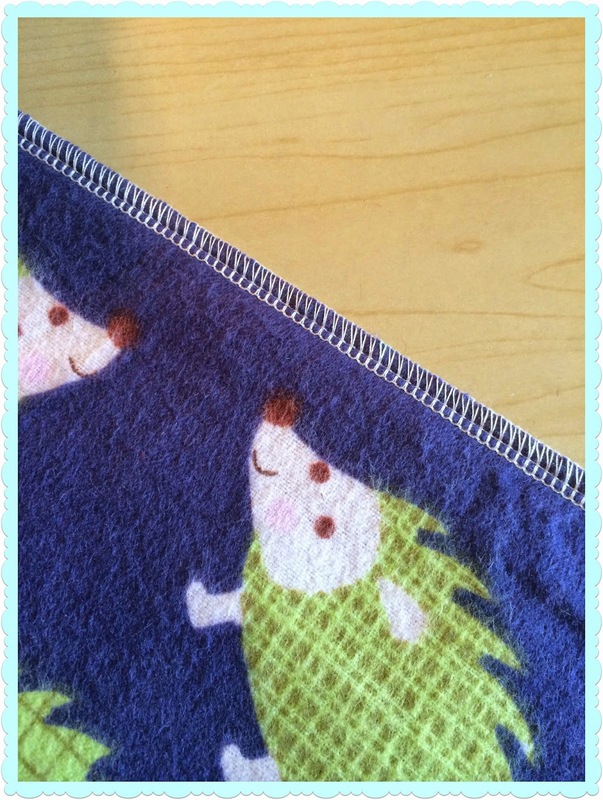 Sew along all of the edges of the blanket using a zig zag stitch and you're done! 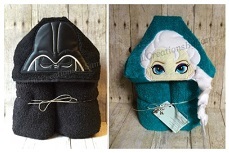 These blankets are so easy to make and make perfect gifts for someone who is expecting. 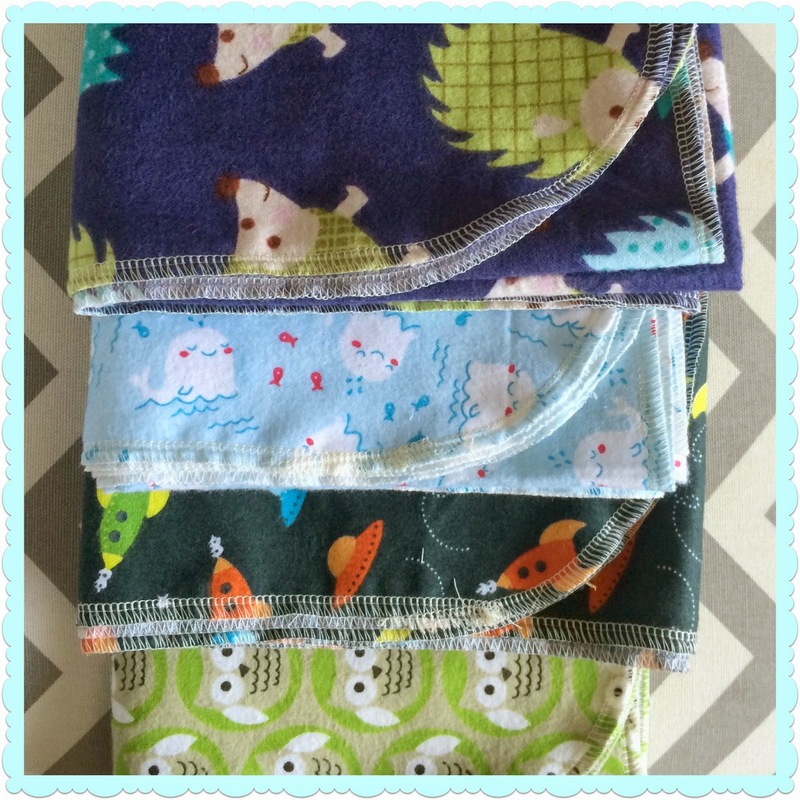 With the leftover flannel you can even make a burp cloth or two to match! 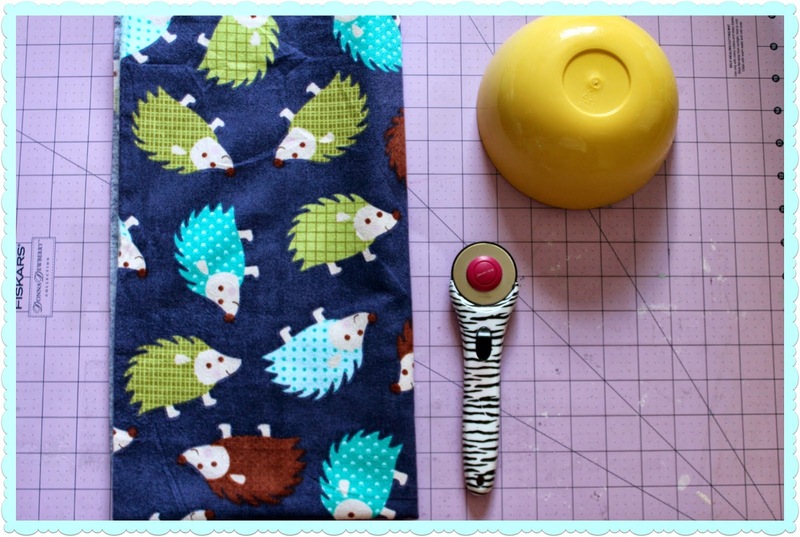 See my burp cloth tutorial here. How do you keep your corners from being so thick with the 2 double folds at each corner? 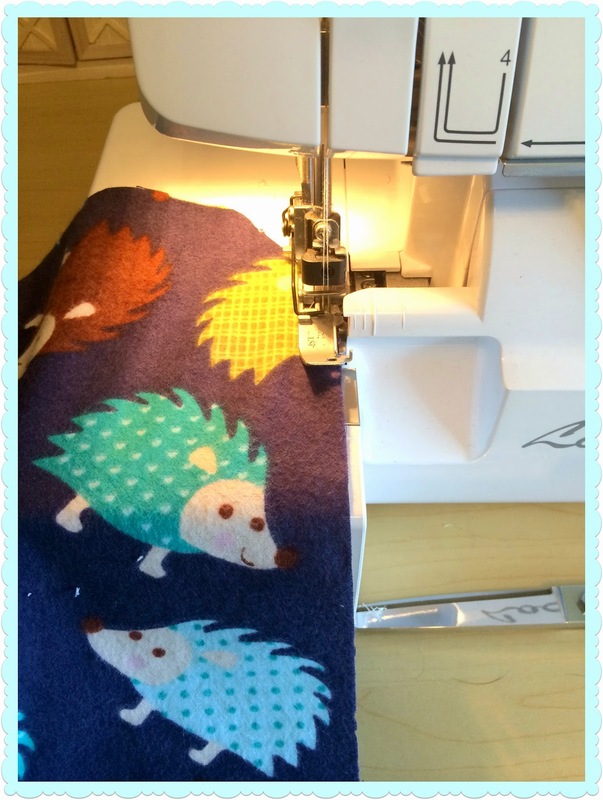 what thread count are you using for your serger? 3 or 4 and what type of hem?